Journey's Edge Deluxe 10 Pcs Manicure Set with Deluxe Carrying Case Only $5.99 Plus FREE Shipping! You are here: Home / Great Deals / Journey’s Edge Deluxe 10 Pcs Manicure Set with Deluxe Carrying Case Only $5.99 Plus FREE Shipping! Journey’s Edge Deluxe 10 Pcs Manicure Set with Deluxe Carrying Case Only $5.99 Plus FREE Shipping! This Deluxe 10 piece manicure set includes all the tools you need for complete nail care! 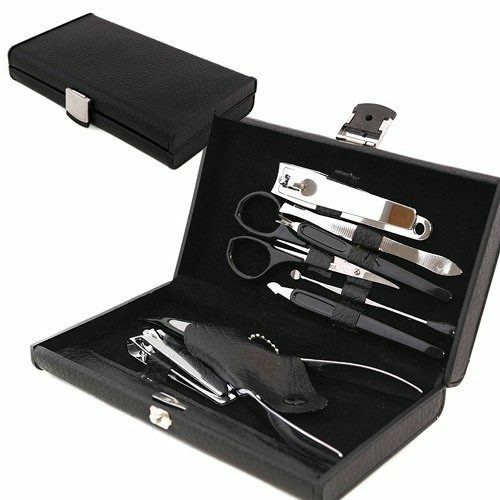 The Journey’s Edge Deluxe 10 Pcs Manicure Set with Deluxe Carrying Case for Only $5.99 Plus FREE Shipping features a case with leatherette bands that keep each tool securely in place as you travel!